Daisy Edgar Jones has walked out of the movie due to some personal issues from SS Rajamouli's RRR, starring Jr NTR and Ram Charan Teja. 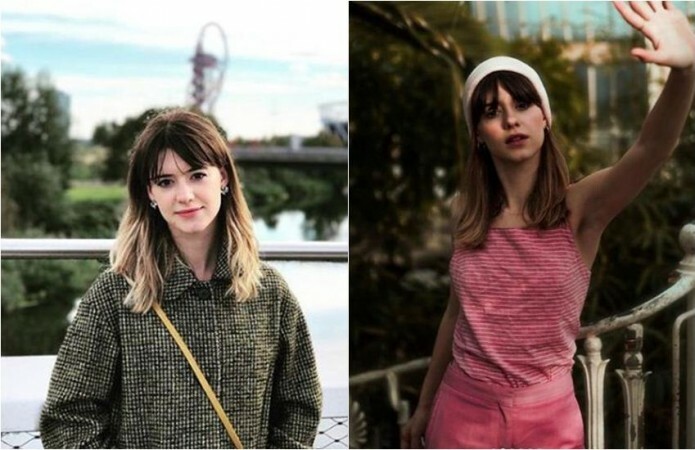 British actress Daisy Edgar Jones, who was signed to play one of the female leads in SS Rajamouli's multilingual movie RRR, has opted out of the mega-budget flick to everybody's surprise. The development has left the fans wondering why she walked out of the flick. Now, the actress has explained the reason behind her decision. On her Instagram account, she announced, "Unfortunately due to family circumstances I am unable to participate in filming for this wonderful film. The script is truly brilliant and it's such a great character, I hope whomever they cast receives as warm a welcome as I have and I wish the production all the best. [sic]"
Daisy Edgar Jones, who acted in English TV shows like Outnumbered and Silent Witness, was supposed to romance Jr NTR in the SS Rajamouli's creation. The makers made the news official on Twitter on Friday, 5 April. "Due to unavoidable circumstances, @DaisyEdgarJones is no longer a part of our film. We hope she has a brilliant future. #RRR. [sic]" the official Twitter handle of the flick announced the news. Ever since it was announced that she was on board for the Ram Charan and Jr NTR's project, the Telugu cine-goers have treated her well on social media sites and her fan following on social media accounts too saw a massive increase. Meanwhile, the team has wrapped up the latest schedule of shooting in Gujarat and returned home to celebrate Ugadi festival. "Inspite of the set back, we were able to finish the #RRR Gujarat schedule in time... Thanking the people of Dharmaj and Siddhpur for the cooperation and hospitality.. Home for Ugadi...[sic]" SS Rajamouli tweeted about the progress of the multilingual flick. RRR is a mega-budget film produced by DVV Daniah. Bollywood actor Ajay Devgn plays a role with negative shade, while Alia Bhatt will romance Ram Charan in the period drama. The movie is made in Telugu, Tamil, Hindi, Malayalam and other Indian languages simultaneously and RRR is common name for all the languages. The film is set to release on July 30, 2020.